Hyper Bounce Blast on Steam is an interesting game from Flump Studios, featuring a mix of shmup . 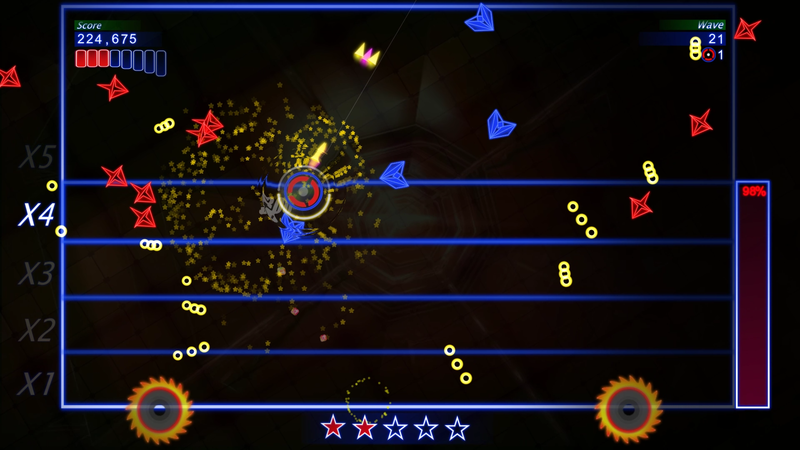 bullet hell, and twin stick shooter, with a bit of platforming. But is it any good? You may just Ultra Smash your head into a table with regret of purchasing this at full price. Mario Tennis Ultra Smash lacks content but, hey, it’s got Mega Mushrooms… lots of Mega Mushrooms. Enjoy a rousing game of Tennis with friends or alone with your amiibo. A review of the NES30 Pro controller created by 8Bitdo. Want to replace your original XBOX HDD with a bigger one? Check out this tutorial. A (hopefully) easy to understand and use tutorial for the Original XBOX. We take a look at the Final Fantasy XV: Episode Duscae demo on PlayStation 4. Jeremy gives his impressions of the Toejam and Earl 3 beta for the Sega Dreamcast.